We take care of your home and your all your pets, Our house sitters, pet sitters and pet care products are of top quality. Parrots, Birds, Pets, pet sitters, House, house sitters, house sitting, Pet Sitting, Animal Sitting, Cats, Dogs, Birds, Hedgehogs, Bunnies, Pet care, Fish, Tropical fish and other critters. Its good to be back online again. I am having the time of my life. Got my Pet Sitting Services up and running. 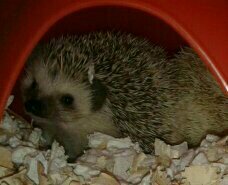 Had the marvelous time looking after two awesome Hedgehogs as well. How to introduce a second #Parrot into your family. injury or even death of one or both of your birds. or else you will end up with instant dislike. out the right way of doing it. Learn how to have two happy birds in the family. Click the Parrot Training link above to get your bird training videos. My African Grey Parrot and my Mynar do not settle down at night unless I cover them. It is your choice whether to cover them or not. Summer start here at around 04:30 in the summer months, and who wants to be woken up at that time, if you do not have to be. Your birds should display certain behavior that tells you that they are ready to settle in for the night. In the winter months, they tend to settle down in the evenings a lot earlier. Each bird is different. You might choose not to cover your birds at night. Birds are just more comfortable when they are covered, as it is dark and quiet. This also makes them feel more secure. They sleep well and wake up happy. Most birds need from 8 to 10 hours of quality sleep a night. Our Pet Sitters will make sure that your Birds and Pets are kept as close to the routine that you have for your pets as possible. Opening up your birds and covering your birds at night. To a good night sleep to you and your birds. There is certainly something to be said about walking with a trained dog on its lead. Dog owners and Dog Walkers know the great feeling when walking your dogs down the street and you are not dragged or pulled around by them. Turn your Dog Walking into a fun activity with your pet and yourself. There are few dog walking tricks that you can use to get the most of these dog walks. You need to position yourself in that position that your dog considers you as the Pack leader. You need to ensure that the dog is either behind or besides you at all times. You can in the beginning walk your dog on a short leash, attached at the top of your dog's neck, you will be able to exert more control on your dog. Dogs and Humans are both diurnal, meaning you are best in the morning. This makes morning walks the most ideal ones for your dog. You need to walk your dog from between thirty minutes to an hour for your dog and you to get the maximum benefit. Rewarding your pets during and after your walks and if given when and if your dog is behaving. Small one bite treats work the best. Talk to your dogs, praise them. You give a command and when they obey, praise them and give them a small treat. You can stop and allow your dog to sniff around for a few seconds every now and again. Plan your the route that you are going to use to walk you dog. Make sure that the restrictions are if any. Know which roads you are going to take. Check the walk out first then take your dog out. You also need to take into account your pets and your bathroom needs. Take enough water with you for your dog and yourself, plus a small bowl for your dog to drink out of. Our Pet Sitters carry some sort of protections with them and that is normal for protecting themselves and your dogs against other dogs the might attack. Our concern is for the safety of our pet sitters and the dogs that have been placed into our care. From experience, it is a necessary step that we take, as it has happened in the past when a stray dog has attached the Pet Sitter or the dogs in their care or both. Our Pet Sitters will take excellent care of your pets, whether they are House Sitting and taking care of your pets or they are just taking your dogs for their walks. Our House Sitters sleep over and take care of your home and your pets. Our Pet Sitters can come to you once or twice a day, depending on your and your pets needs. African Grey Parrots are highly intellect birds and they get bored easily. Seeds such as Mielies, Sunflowers seeds (keep these to a minimum) and peanuts in the shell, are good for greys, when you place them in a bowl of their own. They can nibble on these seeds throughout the day. Parrot pellets and parrot biscuits are specially made for parrots but they cannot live on pellets alone. Put the grey's pellets and biscuits in a bowl also on their own. You can also give your parrot pasta, grains, apple sauce, and cooked legumes. Try to feed your parrots purely organic foods as the pesticides can be extremely harmful and can be fatal in the long term. Introduce your parrots to fresh fruit and vegetables as soon as possible. I cut up the vegetables and most fruit in "bite Size" portions that they can hold and eat. I give them 3 to 4 different fresh vegetables and fresh fruits a day so they do not become bored. Apples (cored as the seed are toxic), grapes, carrots, corn, spinach, peanuts, nuts, broccoli, peas, string beans, kale, chard, sweet potatoes, squash, peppers, pears, bananas, mangos, papayas, cherries, apricots, kiwi, yogurt. African Greys love eggs either hard boiled or scrambled but no spices, salts or oils. Never feed any birds including African Greys the following foods, Avocadoes, salt, sugar, caffeine, alcohol, high processed foods, highly salty foods, chocolate, tomatoes, parsley, apple cores. Remember that you need to introduce new foods slowly. That is way I cut up the fresh fruit and vegetables and do not just place whole fruits or vegetables into their bowls. They might be clever birds but will react as if there is a serious threat if you suddenly put a whole apple or banana or long green beans or a carrot directly into their bowls. Have your local Avian Veterinarian check out your African Greys at least every six months for deworming and to make sure your African grey parrot is doing well. My Vet also clips my Grey's nails, wings and beak. Looking after an African Grey Parrot is alike to looking after a small child. Your African Grey Parrots need a diet plan that works for your Bird. African Grey Parrots like to eat often throughout the day. They also use up loads of energy with their antics and activities they get up to during the day. Their metabolic rate that burns food fast. If your are introducing a new vegetable or fruit then early in the morning is the best time to do it as they are more hungry and will be more than ready to try the new food. You will have to make sure that their is no other food in their cages overnight, so they do not fill up and then will not try the new foods. Only do this if you are planning to introduce new foods to them. Greys do eat after dark. I know my African Grey does. I make sure there is always food for her to eat, whenever she wants to. I change her drinking water twice a day. I also have a big bowl of water which I change daily as she baths in it. Just wanted to share some of the beautiful African Grey Parrot Photo's with you today. This is Penny my African Grey Parrot when she was under six months old. Today she is a constant source of amusement and Good Company to me. Parrots make excellent companions. Our Pet Sitters take care of all your Pets: Birds, dogs, cats, reptiles, hamsters to name a few and we are based in Johannesburg, Gauteng.